How can musicians help the 49 million Americans who don’t know where their next meal is coming from? By teaming up with veteran documentary filmmakers, celebrity chefs, and poverty experts to give a voice to the 30% of American families for whom food insecurity is a real and constant threat. 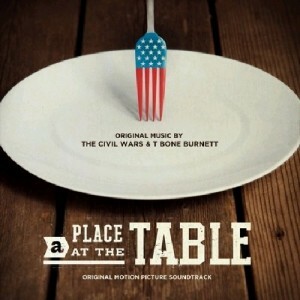 Grammy award-winning folk artists The Civil Wars and Oscar-winning songwriter, producer and recording artist T Bone Burnett joined together to soundtrack “A Place At The Table,” a new full-length documentary that shines a light on the US hunger crisis. 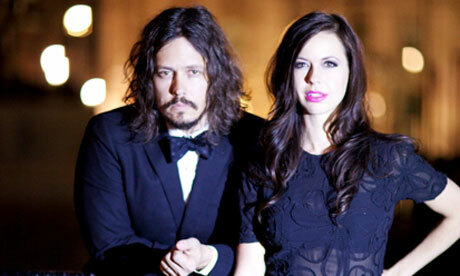 In addition to providing music for the film, the artists will donate all proceeds from album sales to The Participant Foundation, which uses storytelling to entertain audiences while inviting them to make a difference. Through its digital division, TakePart, the foundation helps shape films and documentaries with specific social action campaigns designed to give a voice to issues that resonate in the films. They’re not alone in their dedication to the cause. “A Place At The Table” features such diverse stars as Jeff Bridges and Tom Colicchio as well as economist/activist Raj Patel and real Americans dealing with food insecurity. Download the film and soundtrack here via iTunes, and visit TakePart to learn what you can do about the hunger crisis in America.